But rather, makes me think of cotton wool. 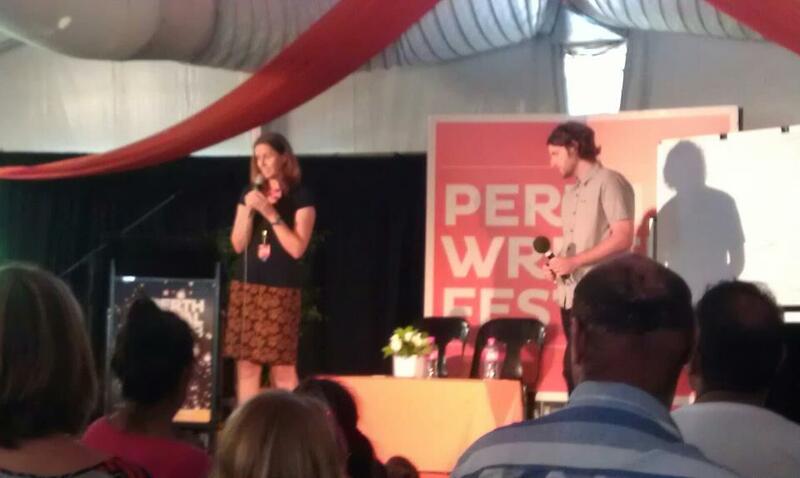 Still, I was very glad to be at Perth Writers Festival, and not only because I got to meet Michael Leunig. 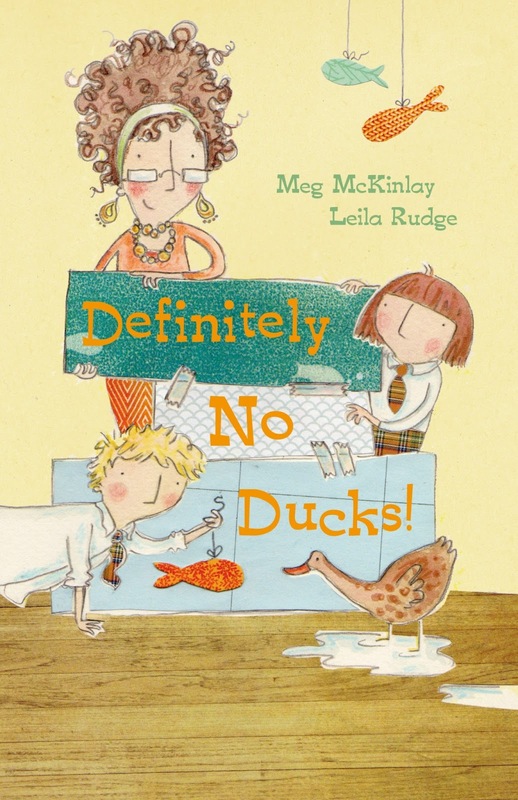 I also got to introduce my shiny new book, Definitely No Ducks, to a lovely group of kids on Schools’ Day, and lead a poetry workshop on Family Day. Lastly, Kyle Hughes-Odgers and I pulled a double-act for a Ten Tiny Things–based session which was a (hopefully) delightful schmozzle in which we met some fantastic kids and exposed Kyle’s obsessive love of triangles (and curious conviction that cats in fact look like dogs). I also accidentally came up with the possible title for a new book, perhaps another sequel to Duck for a Day: “Kyle for a While”. It has a nice ring to it, don’t you think? I’m just wondering what Kyle’s demands would be if you were to take him home as a class pet…? Kyle, trying to remember how many sides a triangle has. This was the first official outing for Definitely No Ducks, which was released into the world on March 1, and whose stacks appeared to dwindle rather satisfyingly in the bookshop. [Webbed] fingers crossed for happy readers!